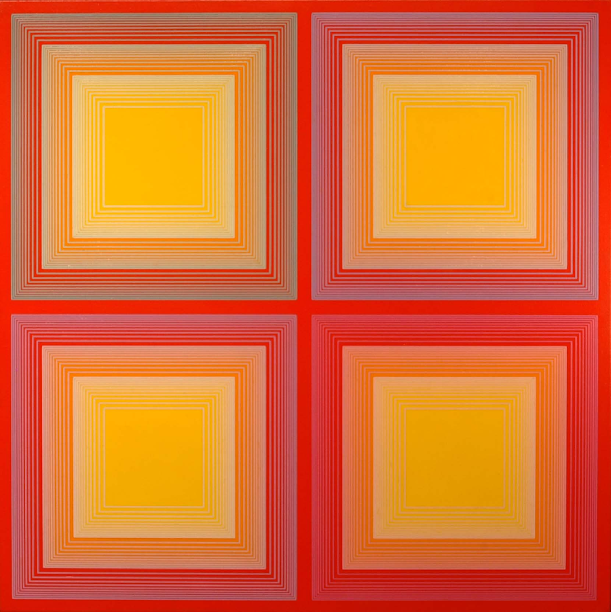 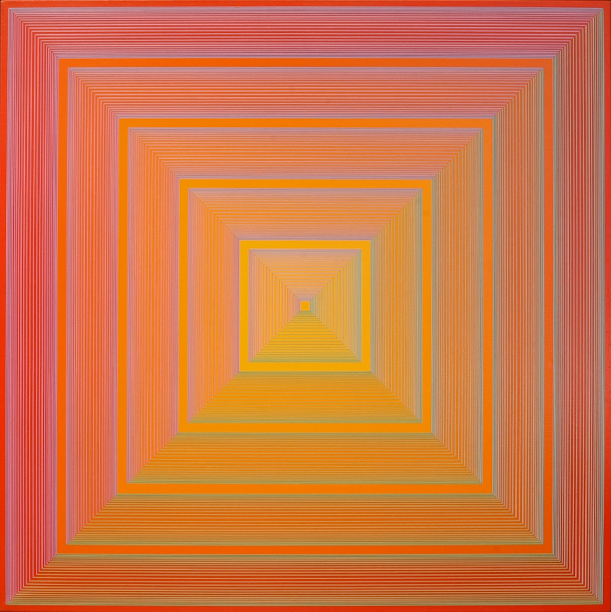 Studies of the properties of color come in all shapes, but square forms stand out in western art as one of the preferred choices to explore the vibrations and the advancing or receding spaces generated by color contrasts. 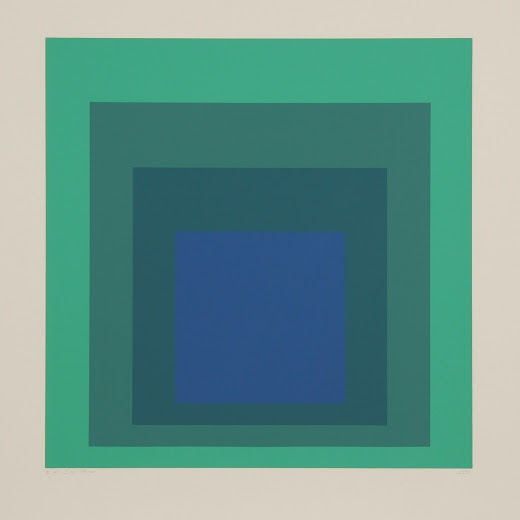 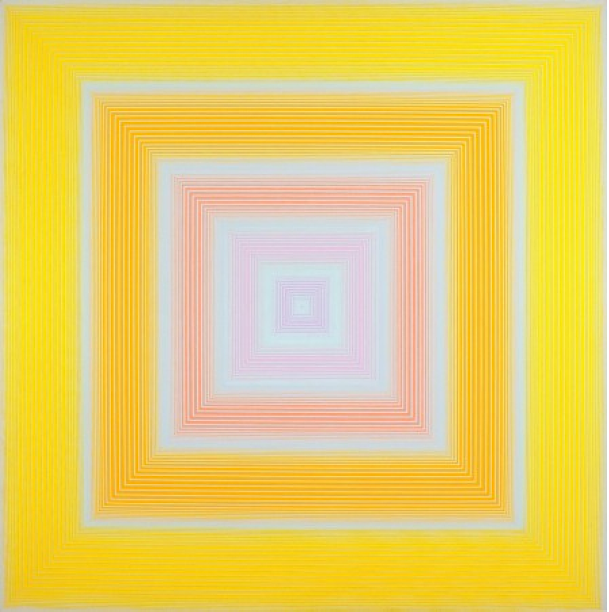 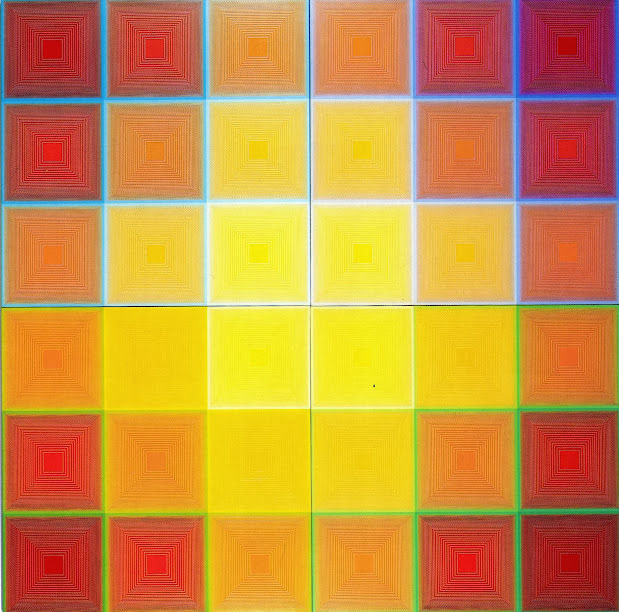 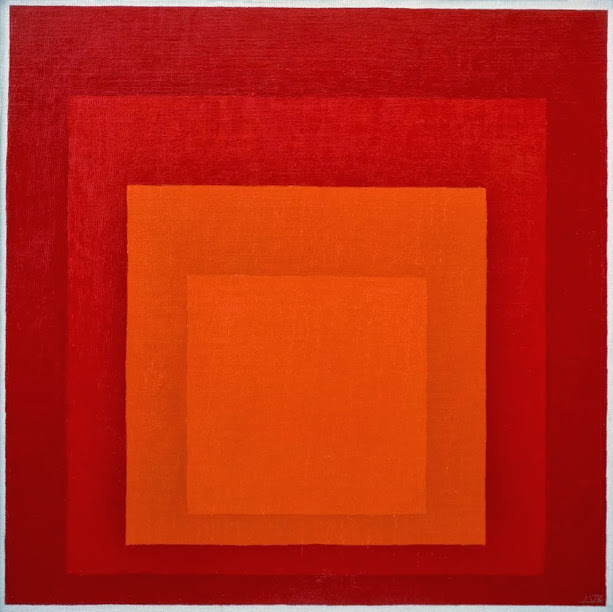 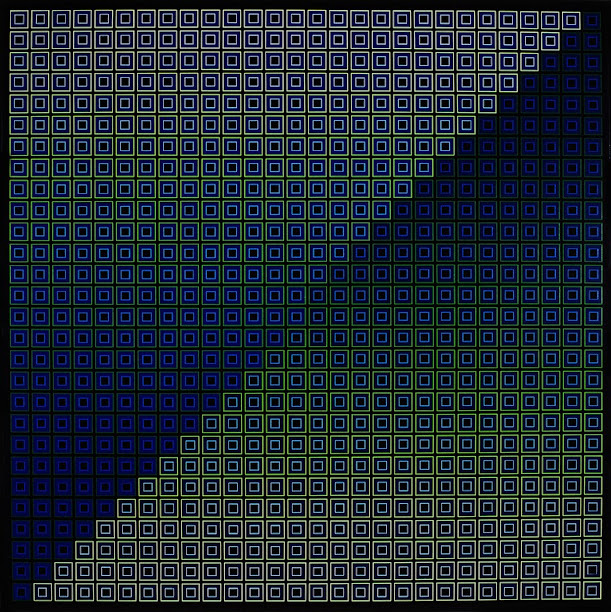 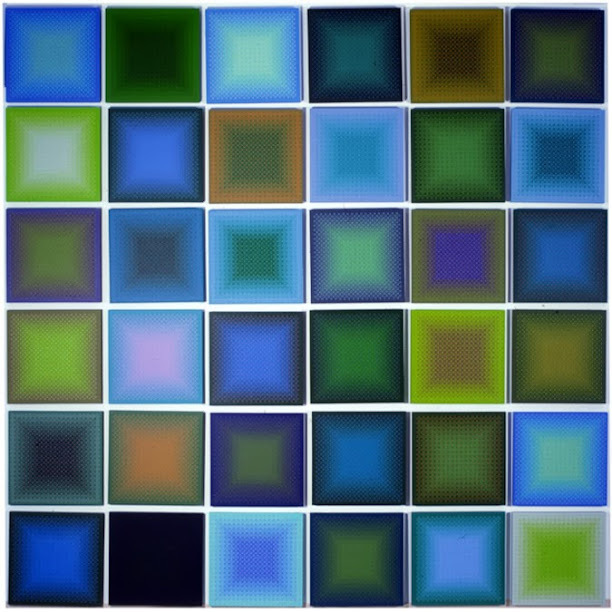 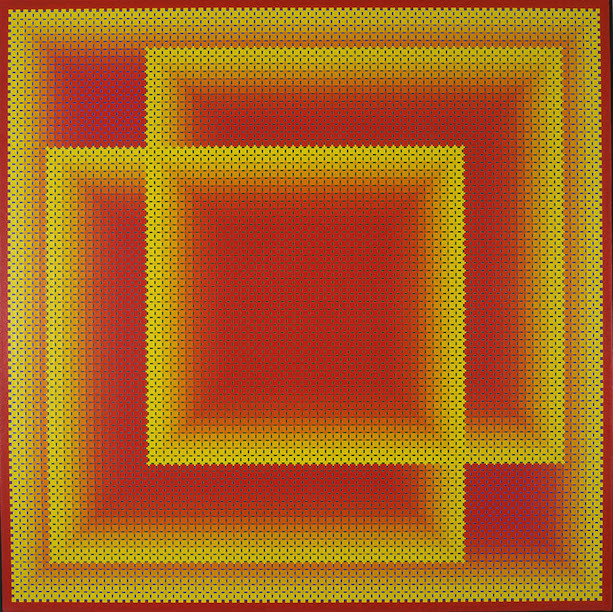 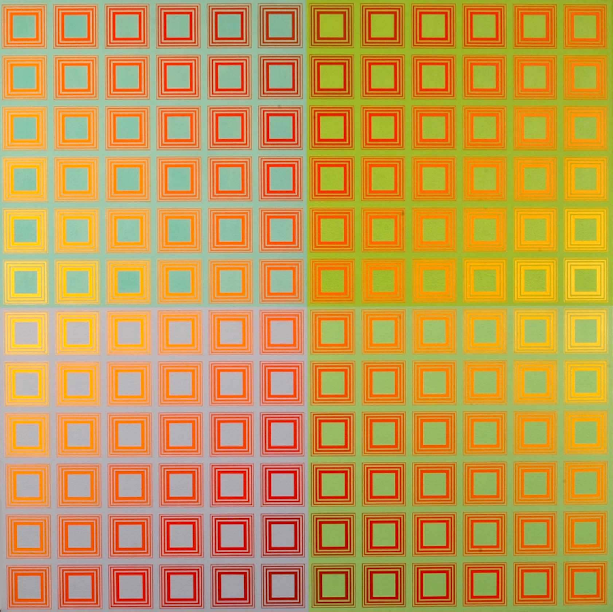 The artist most closely associated with the square is perhaps Josef Albers, who painted over a thousand variations for a series he called Homage to the Square, starting in 1949 and only ending with his death in 1976. 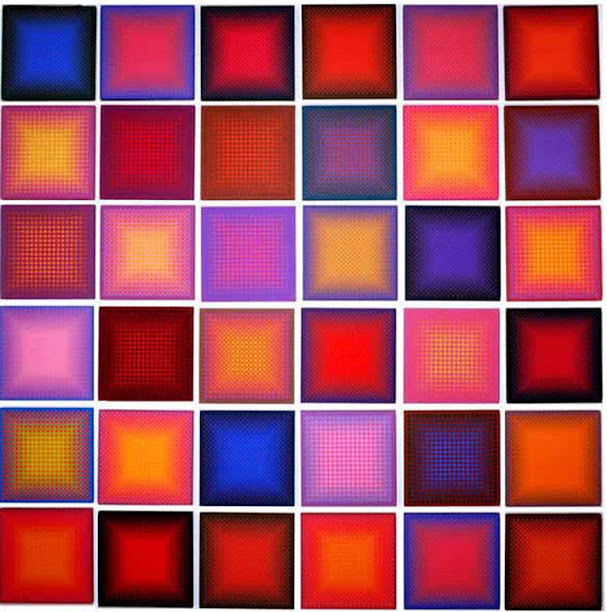 For these explorations of the wonders of visual perception, all of them are ultimately indebted to Paul Klee (1879-1940), who pioneered color studies in squares in the 1920s, at the time when color first broke free from the constraints of the figurative in western art.